Students in the Department of Food Science's "Arkansas Food Industries and Culinary Traditions" summer course. FAYETTEVILLE, Ark. – Students from all around Arkansas and the world will spend two weeks in Fayetteville this month studying Arkansas’ food industry and culinary traditions. The Department of Food Science in the Dale Bumpers College of Agricultural, Food and Life Sciences at the University of Arkansas is organizing the international “short course.” It will highlight the importance of the area’s regional food industry and food culture. Topics and speakers range from major international companies to unique small niche home-grown businesses. From July 9-20, students will have sessions on topics such as food product innovation, sensory testing, fermented food and beverages, the art and science of coffee brewing, coffee flavor chemistry and sensory analysis, rice processing and small fruit breeding. Students will take part in hands-on sauerkraut production, multiple cooking demonstrations, rice milling demonstrations and small group workshops. Five students from Austria (Graz Technical University), one from Belgium (University of Ghent) and one from Switzerland (Zurich University of Applied Science) have enrolled in the two-week course, along with four students from the U of A and two from Fresno State University in California. The course, Arkansas Food Industries and Culinary Traditions, is part of a strategy to develop relationships with key international partners in research, education and industry outreach, Proctor said. 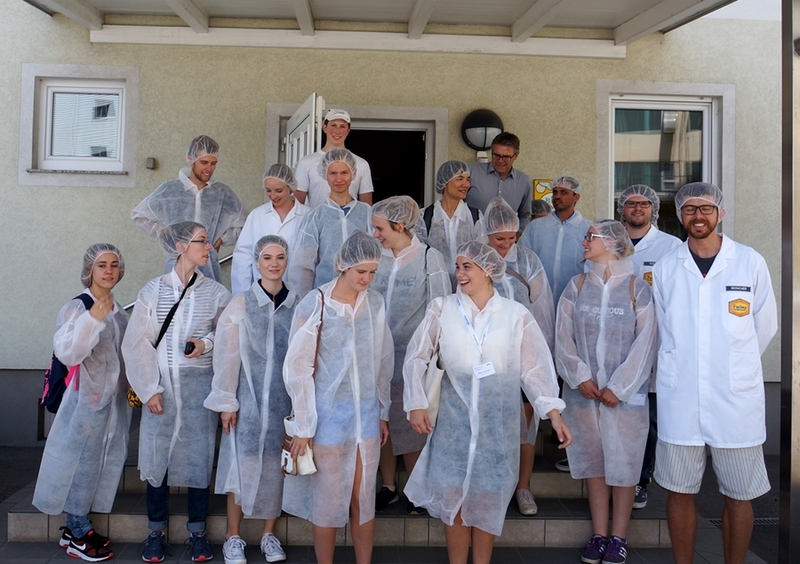 He and food science professor Luke Howard developed research collaborations with Graz TU, and Proctor taught two summer classes in Austria last year as part of the first summer program in the partnership. In addition to the international students, three instructors from Austria are among the presenters and speakers, including Erich Leiter, an internationally recognized chef and professor. Leiter is an expert in consumer trends, a flavor chemist, sensory science expert and Bumpers College’s key partner at Graz TU. Proctor and Leiter worked together when Proctor served as a Fulbright-Austria NAWI Graz Visiting Professor in Natural Sciences in 2015. Leiter visited the U of A the following semester, and was struck by the similarity and subtle differences in the food industry and culture between the Styria region of Austria and the Ozark region of Arkansas. The program was developed by Proctor and Jean-Francois Meullenet, former department head and now associate vice president for agriculture–research with the U of A System Division of Agriculture. Sessions will be led by various speakers, including Brian Davis, Simmons Foods; Jessica Sossamon, Tyson Discovery Center; and Stephen O’Brien, Walmart Innovation Center. Tours include visits to Walmart’s Innovation Center, Tyson’s Discovery Center, Onyx Coffee Lab in Rogers, Fossil Cove microbrewery, Moniker Ferments, the Rice Research and Extension Center in Stuttgart, supermarket visits (Harps, Sam’s Club, Whole Foods) as part of a consumer trends study, Post Familie Vineyards in Altus, Fruit Research Station in Clarksville, Fayetteville Farmers Market and Brightwater Center for the Study of Food in Bentonville.